A fashionable blast from the past: “Versailles ’73: American Runway Revolution” continues to gain exciting momentum across the globe. 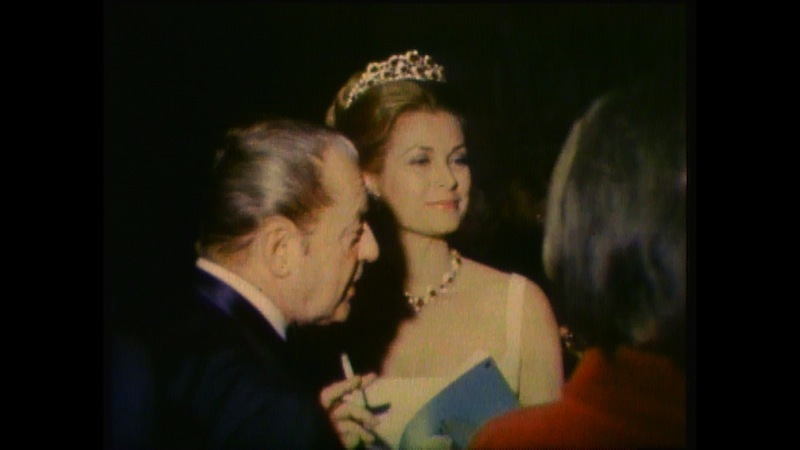 Directed, written and produced by Deborah Riley Draper, the film follows the iconic fashion face-off at the Palace of Versailles on November 28, 1973 between five prominent American designers: Anne Klein, Stephen Burrows, Bill Blass, Oscar de la Renta, and Halston — and five prolific French designers– Yves St. Laurent, Christian Dior, Hubert de Givenchy, Pierre Cardin, and Emanuel Ungaro. Here’s a little peek. The event started as a fundraiser orchestrated by fashion publicist Eleanor Lambert to raise money to restore the Palace of Versailles but became a fierce competition. Then, in front of a who’s who audience of royalty, jet-set millionaires, and icons including Princess Grace of Monaco, Andy Warhol, Christina Onassis, Liza Minnelli, and Josephine Baker, the American designers claimed a resounding victory. The extraordinary evening left an unforgettable imprint on the fashion industry and forever changed fashion history. America with great clothes and a color barrier-breaking collective of Black models who sashayed down the runway, won over the crowd and secured American fashion’s place on the world stage. The film has been recognized as the 2012 AAFCA Awards Best Documentary, 2012 Official Selection Martha’s Vineyards African American Film Festival, 2013 Best Documentary New York Winter Film Fest, 2013 John Hopkins Film Festival Official Selection and Denver Film Society 2013 DocNight Selection. The film features never before seen archival footage and commentary by some of the fashion industry’s most respected names including Stephen Burrows, Pat Cleveland, Barbara Summers, Charlene Dash, Cameron Silver, Bethann Hardison, China Machado, Norma Jean Darden, Laurent Cotta, Tom Fallon, Didier Grumbach, Jean-Luce Hure, Harold Koda, Mikki Taylor and many others. Distributed on VOD platforms via FilmBuff and is available via iTunes, Amazon Instant View, YouTube Rentals, XBOX, Sony PlayStation, and Vudu . May 16- Film Screening and Panel Discussion at The Museum of the City of New York in conjunction with Stephen Burrows: When Fashion Danced exhibition. May 24- Film Screening at The third edition of Elle Croatia Fashion Film Festival, Zagreb, Croatia. July 6 – Film Screening and Q&A, Balenciaga Museum, San Sebastian Spain.